was repaired. 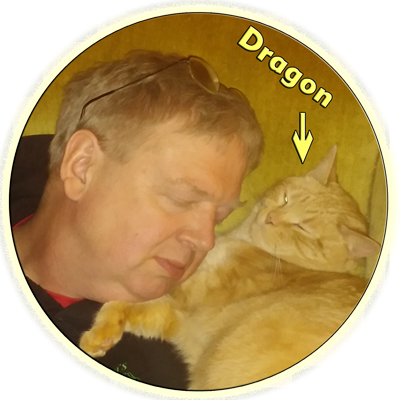 I have a really personal kitty named dragon show to the left. I missed my kitties and more important, I missed any kitty sleeping on me. 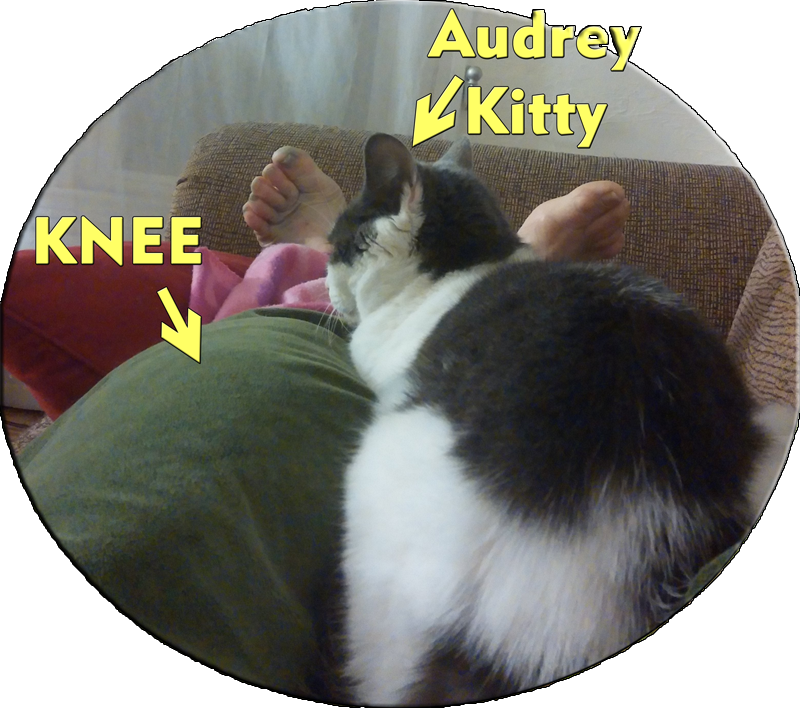 10 minutes on the bed, and Audrey, my daughter's oldest kitty, decided I was a good kitty person, and moved right in. B. I discovered that I could walk with the crutches the same distance I could walk with the walker, 1 week ahead of schedule. C. I discovered that I could go up the twenty stairs to the bathroom, and did not have to use the commode as a commode, unless no-one else was in the house. The counter point that represents Thursday's evil is that the home nursing company my hospital chose to use to give me injections lied to me at the hospital. One of the reasons we stayed at my daughter's home was because when we asked if I could have a friend, one of our black belts no less, who worked for them, be our nurse. The told us that we defiantly could. This accomplished 2 things. First, I did not have to reintroduce myself and TBI to yet again another health care provider, which is one of the worst self debasing and humiliating things I have to do every time I see one. Second, this nurse has been a rock in my life. Her church treated her like garbage at exactly the same time I was discovering Christ, so as I grew into the light, she began walking in the darkness. The problem is, there is more Godly fruit in this persons life than nearly any Christian I know, and I owed her. So, this would have been a blessing I could have sent her way. I was emotional destroyed by this companies lie, and it was going to get worse, because I had not yet started answering all the freaking questions. The blessing that countered all the Bad for day 6, the source of light that brought shining brightness into my dark world was the simplest one. My daughter's kitty. I was unconditionally adopted, (as unconditional as you can get for a cat) by my daughters kitty. She made me her bed. She trusted me. She changed the light in my world. The littlest things sometime really do matter. The name of the Book is "Forgotten God: Reversing Our Tragic Neglect of the Holy Spirit."